Incredible 1939 photograph of members of the New York Yankees on the field after they had won the World Series in Cincinnati. 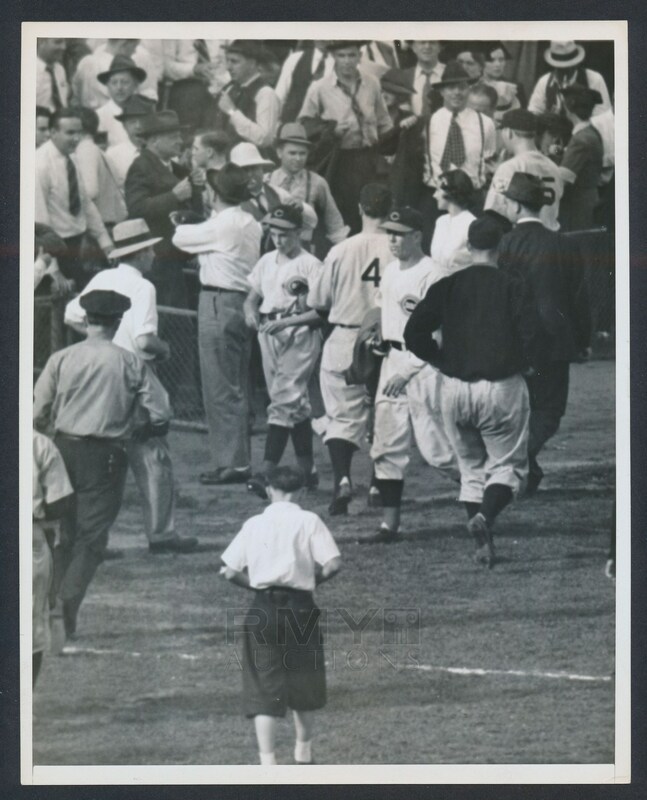 Lou Gehrig can be seen with his back to the camera and his iconic number four clearly visible as he offers congratulations to players and is seen wearing his Yankees uniform for the last time ever! 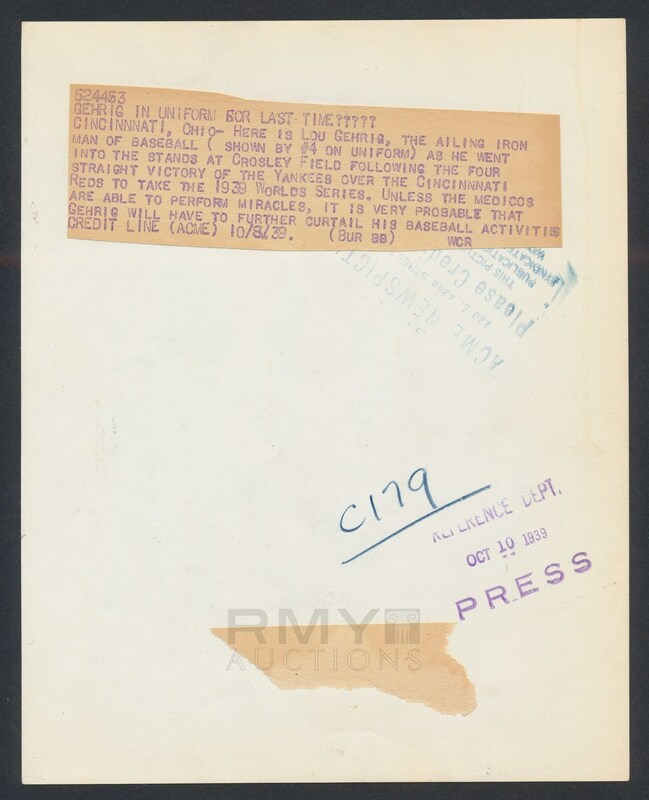 Issued by Acme and stamped on the back with a paper caption as well where it is noted that "Unless the medics are able to perform miracles, it is very probable that Gehrig will have to further curtail his baseball activities." A poignant piece of history related to the tragic downfall and death of one of the most beloved sports icons of all time!